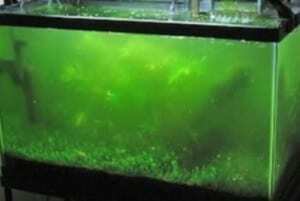 There are 7 main types of algae (but more do exist) that aquariums can have. 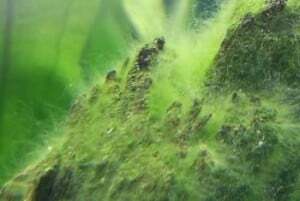 This will probably be the first type of algae any one will encounter in the aquarium and could appear from early on and will normally disappear when the tank stabilises and becomes more mature. 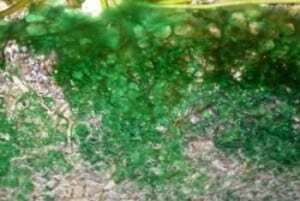 Brown algae could be in the form of a fluff like or spot appearance on plant leaves, rocks, glass, substrate or decorations. Unless you are aiming for a high tech planted set up, it is important to reduce nutrient levels if possible. 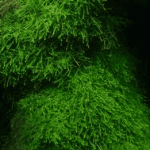 As this algae grows well in low light, reducing light levels doesn’t help and could out do the green algae, so adding more light could help to rid brown algae. 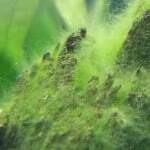 If brown algae appears in an established tank then all water parameters need to be checked and lighting tubes if older than 8/12 months may need to be replaced as they lose their intensity. Some will even change the tubes every 6 months to maintain good lighting in their tanks. 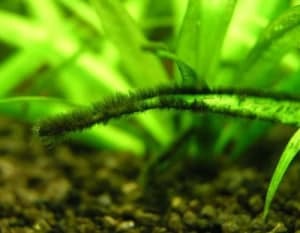 Is probably the most common of all algae you will come across in your aquarium and can take on many forms, from spots, hair, or bushy appearance. Light green in colour and can reach lengths of over 1 inch and if left on its own, it will cause problems. It tends to grow in clumps that can easily be scraped off although it can return quickly. 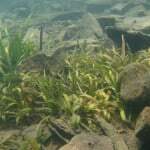 Can be found growing on leaf edges of slow growing plants, bog wood and around filters etc. 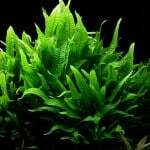 Grows in clumps or patches of fine black or red tufts up to about 0.5cm long. 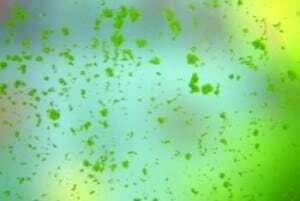 Not truly an algae but bacteria. Covers everything in a blue/green slimy sheet. Easily peels off but grows back again very quickly. It has a foul smell. 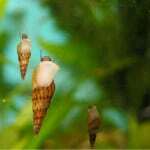 It is very commonly found in the substrate and especially along the front where gravel meets glass but also can be found at the back of the tank and on décor. If all else fails a black out could be the way to remove it so leave the lights off of preferably cover the tank for a week. Stir up the very top level of gravel and thoroughly filter water. Forms hard green circular spots on the glass and plant leaves. Grows in strands like a stags antlers. Black to grey/green in colour and sometimes a reddish tint. 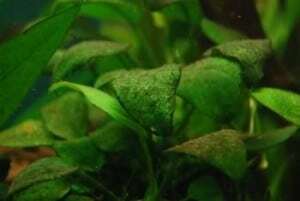 Disturbed dirty substrates without doing water change afterwards. 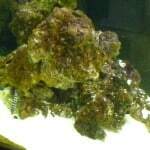 Clean filter and conduct regular water changes. Prevention is the key but that is easier said than done until one finds the proper balance of light, light duration, co2, nitrates, phosphates, and general water quality. 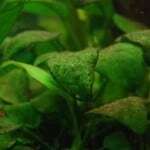 This entry was posted in Articles Algae Control, Articles All, Articles Tropical Plants.